Don Oelze's parents were from the southwest of the United States but their love of God took them to different parts of the world. 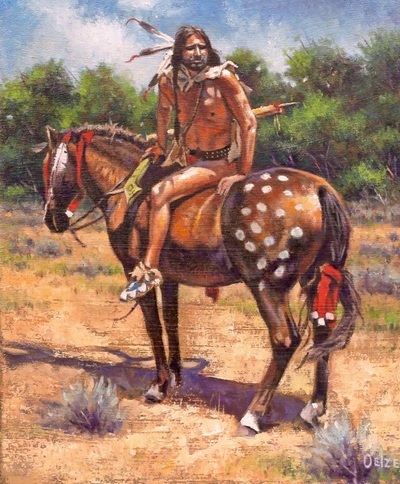 Don was born in New Zealand and at an early age he had a fascination with America and especially with the lifestyle of cowboys and Indians. His grand parents collected Native American artifacts from their property and surrounding country in the eastern part of the United States. 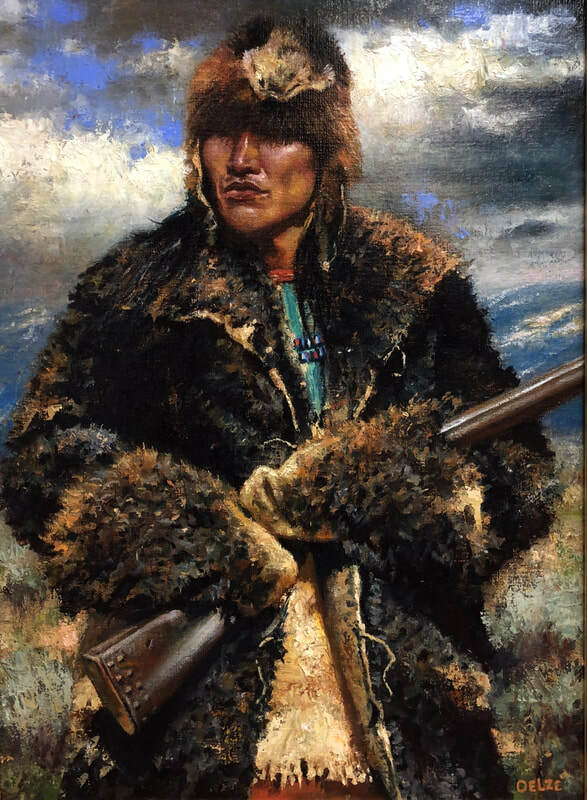 When he was six years old, his grandmother sent him an Indian outfit which only fueled his desire and love for the native customs and history. 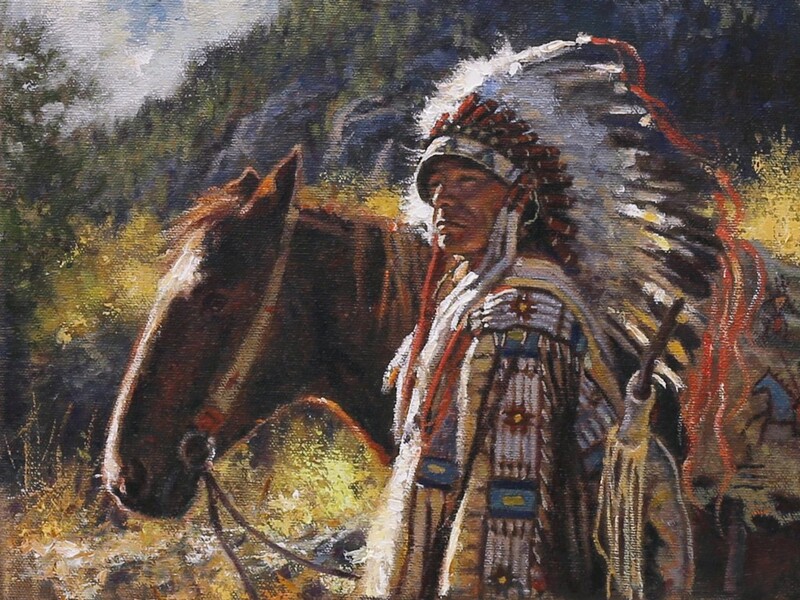 He started drawing Indians at a very early age, and by the time he was in school at age six or seven, he remembers getting in trouble for drawing Indians in class instead of paying attention to his New Zealand history teacher. When he was eight years old, his parents moved back to the United States where he continued to draw and paint through high school. He then attended Memphis College of Art for one year, where he painted many different subjects utilizing a wide range of mediums. Don finished his education at Franklin Pierce College in New Hampshire. 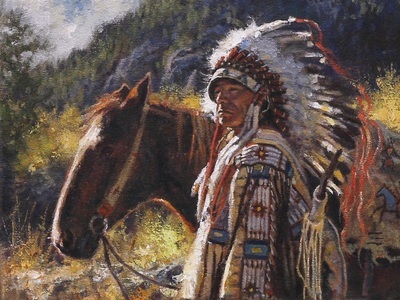 In 1992 while living in Seattle, he met a Native American named Everett who produced native art and Totems. While working with Everett, he did his first big native painting. 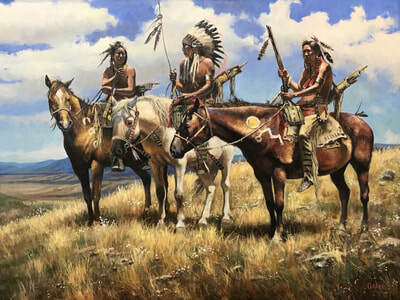 After trying many different subjects, he knew that painting Native Americans was what he loved to do most. For the past ten years, he has been refining his skills while working in Japan. 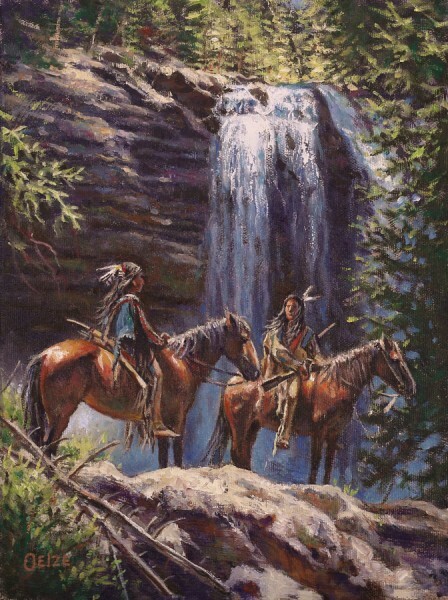 Recently he and his wife ,Utako,have moved back to the U.S. and are presently living in Montana studying the country and people that he loves to paint.